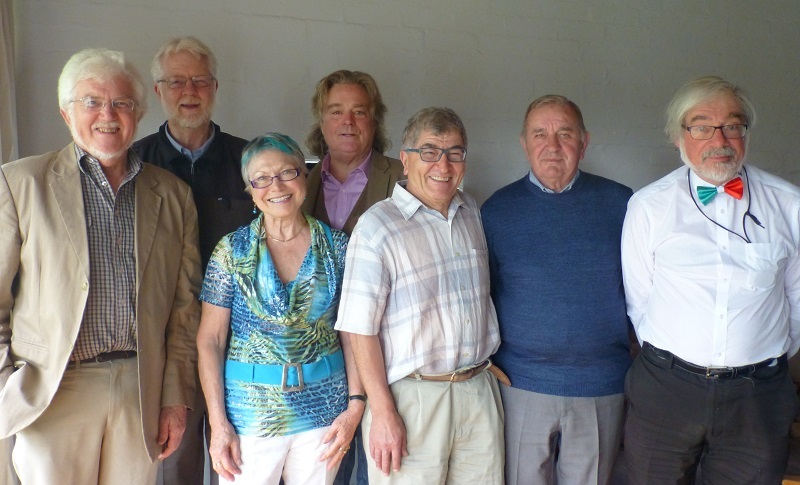 On Sunday 11 October 2015 at Manning Clark House we held our first Italian poetry reading. 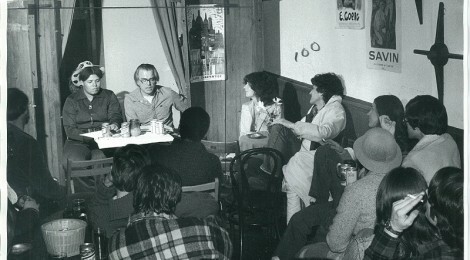 Twenty-five people were present, mostly Dante members who had never attended a poetry-reading event before. The chairman of the Manning Clark House Board, Sebastian Clark, was a most welcoming host. The poetry ranged from the Middle Ages to the contemporary. Appropriately, the first poem was the Cantico delle Creature by St Francis of Assisi which dates from about 1224 and is widely considered to be the earliest poetic text in Italian literature. It was recited for us by David Wilson who then gave us a taste of a lesser known talent of the great scientist Galileo Galilei, by reading an extract from a somewhat ribald poem, Capitolo contro il portar la toga, written for satirical effect in Dante’s terza rima. Mario Serellini then recited lines by Dante himself – the Paolo and Francesca episode from the Inferno – and followed it with a charming poem in the Roman dialect which Mario’s uncle wrote to celebrate the marriage of Mario’s parents. Having left behind the middle ages, we focused on the late 19th and early 20th century, with Orlando Di Iulio reading Pianto antico by Carducci and D’Annunzio’s I Pastori, which describes the shepherds (of Orlando’s native Abruzzo) moving their flock to greener pastures in autumn. Yvette Devlin then read two poems, by Pier Paolo Pasolini and Mario Gargante, in the language of her native Friuli, following them with Leopardi’s Il sabato del villaggio and two light-hearted short poems in the Roman dialect by Trilussa. Finally, three professional poets, Luke Whitington, Geoff Page and Mark O’Connor presented their work, written in English but with connections to Italian poetry and to their own travels in Italy. Luke combined a reading of his poem Pavese with two by the Italian poet himself La puttana contadina and Gente spaesata, as well Luke’s own poem about a village where he had stayed, Polgeto, Umbria. Geoff read his English translations of three Quasimodo poems, with Yvette reading the original Italian. Geoff then added a few short, amusing poems on travelling in Italy from his books Adventures of a Monoglot and Shifting Windows. Mark O’Connor read three of his poems (in English), The Olive Tree, Umbrian Farm and Lingua romana. To end a most enjoyable afternoon, we listened to a recording of Fabrizio de André singing Via della povertà, his Italian version of Bob Dylan’s Desolation Row, before discussing what we had heard over a rinfresco.